The AJCC is home to an outdoor aquatics facility containing two pools, picnic tables, and shaded spots for lounging. The deep pool has four lap lanes, a diving board, and an attached wading area. A large separate toddler pool provides a safe space for younger family members to splash around in shallow water. Snacks and cold beverages are available for purchase. Please be considerate and remember that food brought into the pool area must not contain pork, shellfish or shrimp. The AJCC Pool is open from May 26-September 3, 2018. Beginning August 8, the AJCC Pool hours change to 4:00 - 7:00 pm on weekdays. The AJCC Pool is closed to the public during swim meets. Special events may also limit pool access. Please check the community calendar for more information. The AJCC is home to four outdoor tennis courts (which includes four Pickleball courts on two of the tennis courts). Members can use the courts at any time. Please see the front office for the code to the Tennis Gate. The AJCC Gym hosts open play Pickleball on three indoor courts on some Sundays from 1-3 PM. Please check the community calendar. 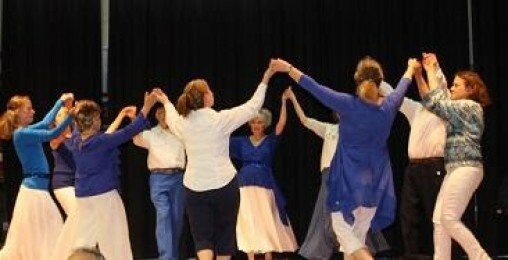 Knoxville Israeli Folk Dancers meet weekly. Beginners are welcome! Contact Fay Campbell or check our Community Calendar for more information. 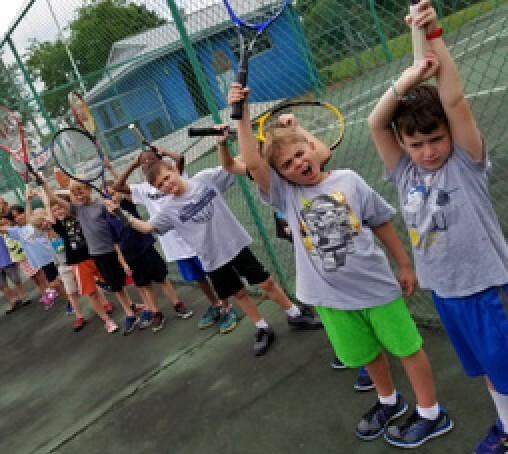 Kids stay active at the AJCC! We're home to the Smokin' Salmon Swim Team and the Milton Collins Day Camps, where kids have the most summer fun under the sun! The AJCC also offers children's swim, golf, and tennis lessons.